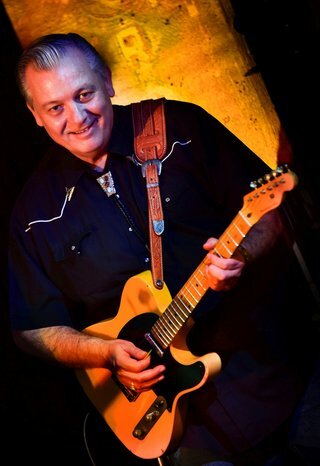 Gaining national recognition in 2013 Steve Kozak won a Maple Blues Award for New Artist or Group of the Year. Being nominated by industry professionals from across Canada. In 2015 Kozak was called by the legendary Duke Robillard to work alongside him and his band at The Winnipeg TD International Jazz Festival, filling in on the guitar duties for an injured Duke. Kozak was very well received by Duke and his band and the Jazz Festival audiences at the two sold out shows in Winnipeg. Steve has also worked and performed with international recording artists, James Harman, Mitch Woods, Big Joe Louis, ‘The Shuffle King’ Tom Holland, David Vest and Robin Banks. He has also opened shows in Vancouver for Nick Curran and the Low-Life’s, Rick Estrin and the Night Cats, Maria Muldaur, The Lee Boys, Matt & Nikki Hill and ‘Super Harp’ James Cotton. Currently working on a new album, Kozak’s last and most highly anticipated CD release Lookin at Lucky featuring special guest James Harman has been very well received by Blues Fans and industry professionals alike. Some recent highlights for Steve and his band have been performing at some great festivals and clubs in western Canada including: 2016 Alpine Blossom Festival Sun Peaks Resort BC, 2016 Salmon Arm Roots & Blues Festival, 2016 Nanaimo Summertime Blues Festival. 2015 Winnipeg TD International Jazz Festival with Duke Robillard, 2015 Vancouver International Jazz Festival, 2015 Edmonton International Blues Festival, (after hours jam session host). 2014 Burnaby Blues & Roots Festival, the 2014 Pender Harbour Blues Festival, Hwy. 101 Music Festival 2014, and The Nanaimo Summertime Blues Festival 2014 following the legendary band Canned Heat. 2014 Big Blues Bender Riviera Hotel & Casino, Las Vegas Nevada, (All-Star Jam), The Calgary Mid-Winter Blues Festival 2013, The Edmonton International Blues Festival 2010 and 2012, Powell River Blues Festival, 2011 & 2012, Nanaimo Blues Festival 2009, 2011, Pender Harbour Blues Festival, 2010, 2013, Rarearth Music festival 2011 in Vernon BC, The Maple Ridge Blues Festival in 2009 The Gastown Chili and Blues Festival in Vancouver, 2009 & 2010 and more.